Feeling creative? Put that energy to good use during this crafting event as a part of our Sexual Health Fair. Students are encouraged to join OSU Craft Center staff members in the SEC lobby for two awesome activities: identity paper crafting and DIY aromatherapy product making. Craft a representation of what it means to be uniquely and “Boldly YOU” and utilize cocoa butter and dried herbs to make an aromatherapy bath bomb or lotion bar. 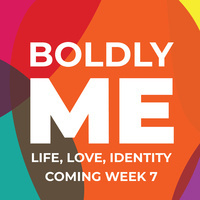 Boldly Me is a week-long celebration of healthy sexuality and promoting inclusivity for people of diverse gender identities and sexual orientations. This week is all about celebrating the uniqueness contributed by each and every member of the OSU community -- through events designed to promote healthy relationships, increase understanding of consent, and showcase individuality in identity!